Of all the burger bars I’ve visited over the years, my first trip to Band of Burgers (B.O.B) is probably the most memorable. Not because I encountered a life-changing burger or enjoyed a mind-blowing milkshake, but because it was the restaurant we visited when “We Are Bartans” forgot my birthday. Whilst for most people, it would be extremely upsetting to have such absent-minded friends, I found myself inexplicably amused, and took every opportunity to sadistically torture their guilt-ridden minds. As a result, “the forgotten birthday” became one of the best birthdays I’ve ever had, and B.O.B will forever be entwined with this tragic memory. 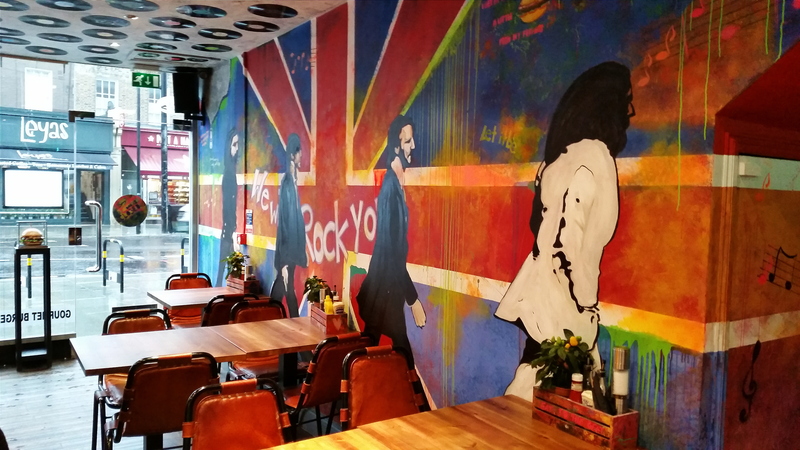 Earlier this year, this rock-and-roll-themed burger band celebrated its own first birthday, and to follow up on the success of their debut Camden album, they launched a brand new single in the heart of Brick Lane. As groupies across the capital squealed in delight, the B.O.B producers teamed up with Halal Gems to organise a backstage blogger’s tour, and we gratefully accepted the invitation. Note: All the meat served here is certified halal. Introductions were made, identities were revealed, and a long table of bloggers settled in for a preview of B.O.B’s prospective new band members. A bowl of coconut scallops and coconut prawns promptly took the stage and exploded into a glorious introductory riff. 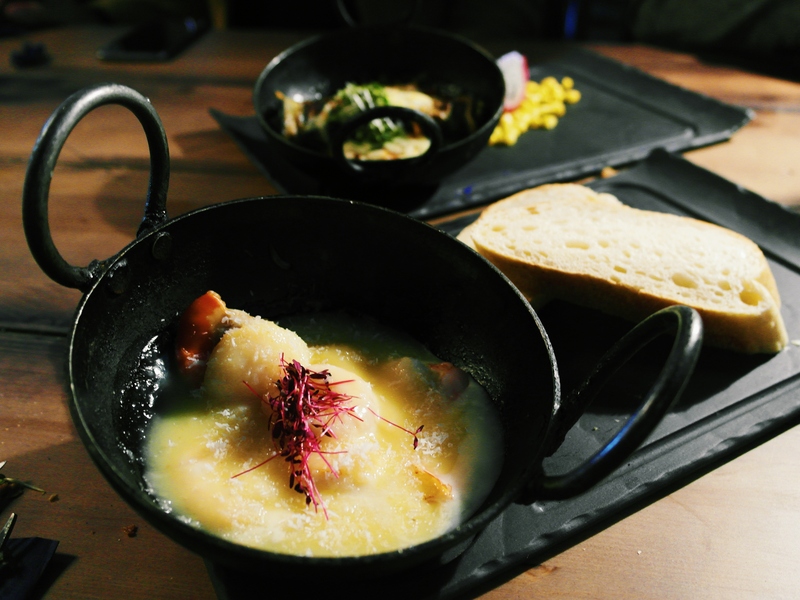 Both the scallops and the prawns were fantastically soft, and the thick and rich coconut sauce exuded a deep, smooth sweetness that coated the tastebuds. Like a doting teenage girl sitting in front of Justin Bieber, I declared my undying love as soon as I had taken my first bite. Next up, was a bowl of soft, baked aubergine, covered in a thick tomato sauce and a layer of mature goat cheese. Inevitably, the strong and pungent goat cheese took dominance, and whilst I enjoyed the maturity, the majority of the audience thought it was overpowering, so you may encounter a milder version on the final menu. A number of other items arrived to the table, (including a totally unexpected seafood platter), but these were subsequently booed off the stage and kicked out of the band by the end of the night, and so, will not feature in this review. 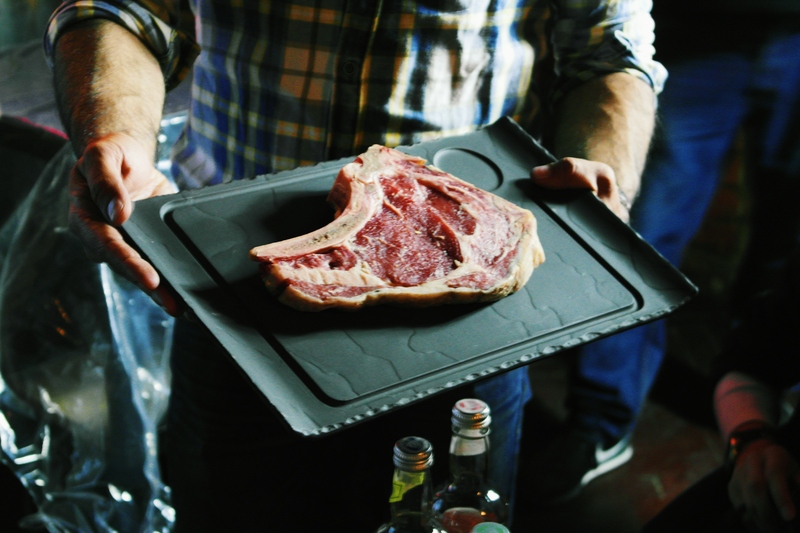 We were also given a glimpse of B.O.B’s new “cowboy ribeye steak”, and after a few hysterical whispers of “Are we getting a piece of that too? !”, we realised that it was just a cruel tease. Soon enough, the real excitement came in the form of two all-new lead guitarists – the beef brisket burger, and a signature wagyu burger – (which I shall come back to later). Whilst the beef brisket is usually slow-cooked for up to eight hours, it was somewhat rushed for the preview and subjected to only four hours of heat. As a result, it wasn’t quite as tender nor as succulent as it should have been, and though the beef retained a subtle, smokey tinge, it lacked sufficient depth in its flavours. More likely than not, this was simply due to the rushed cooking, and you should hopefully have a more positive experience with the final product. As the fireworks fizzled out, and our private concert seemed to be coming to a close, B.O.B returned with an encore of Italian gelato, which included some rather unusual flavours. As expected, the rich and smooth scoop of peanut butter was an instant hit, and became the majority favourite across the table. 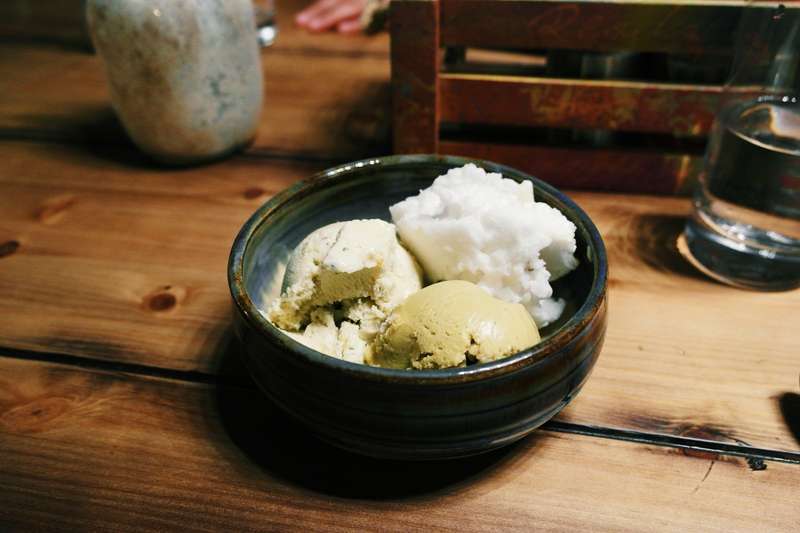 This was followed by the fragrant scoop of rosemary and honey, and the icy chill of coconut, both of which were subtle and sweet. By contrast, the scoop of basil-flavoured gelato turned up some noses, but my strange and sadistic tastebuds took a liking to its peculiar profile. As it hit the tongue, it would begin to release an earthy flavour, which subsequently swelled into something reminiscent of a pesto sandwich in gelato form, before finally breaking away into a ferociously spicy afterkick that stung the back of the throat. Call me crazy, but this peculiar flavour is incredibly interesting, and certainly warrants a try. A few weeks passed by, and I felt as though I needed a proper bite of B.O.B’s new burgers. So, I returned with the Bartans in tow for an end of year meal, and another opportunity to remind them about the time they forgot my birthday. 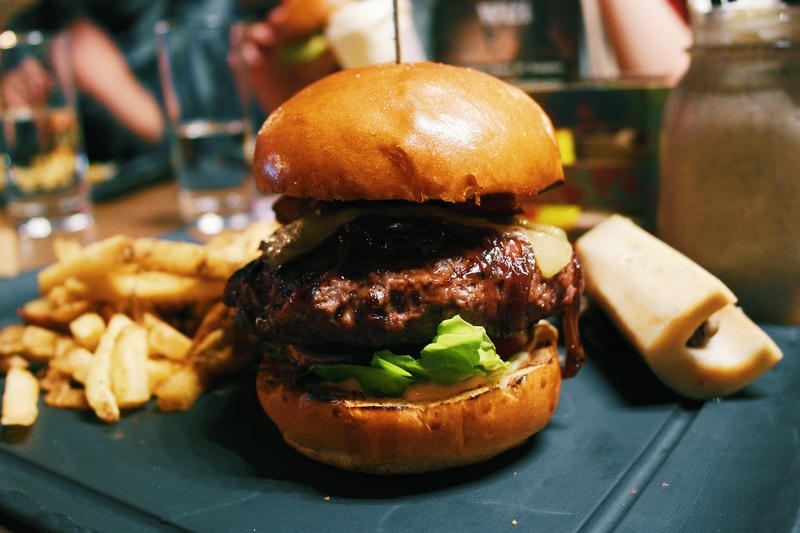 On this occasion, I ordered the “Big Love” – a slightly evolved version of the wagyu burger served at the prelaunch. As expected, the wagyu patty was phenomenally succulent, and arrived with a perfectly pink medium-rare cook. As a result, the juices oozed out with ease, and the light level of seasoning enhanced its inherent flavours. These flavours were complemented by the rich sweetness of the perfectly caramelised onions and the intriguing red onion marmalade sauce, whilst the crispy and smokey turkey bacon provided a great contrast in texture. If, for any bizarre reason, there are any vegetarians / vegans reading this review, now would be a good time to look away, because The Big Love is also accompanied by a side of bone marrow. (You know, just in case you hadn’t eaten enough of this poor dead cow). The crispy marrow was wonderfully rich and pungent, and added yet another unique dimension to this burger experience. 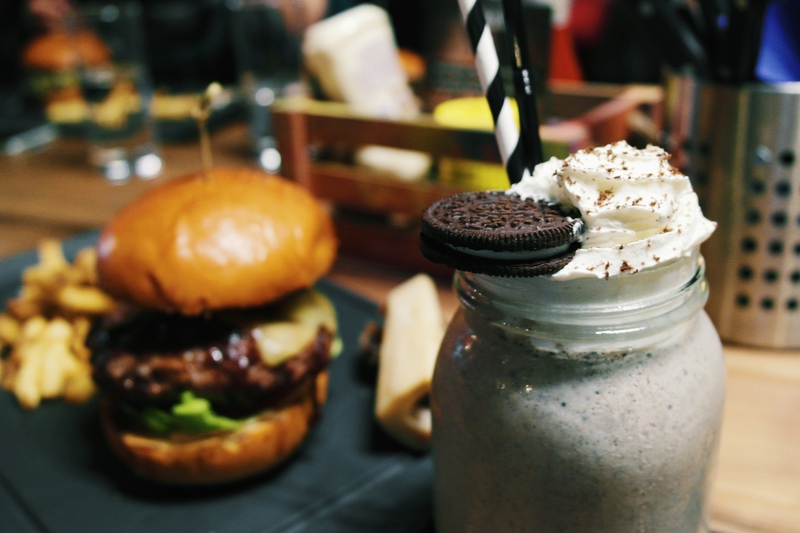 To aid the death of my perfectly-chiselled abs*, (*perfectly chiselled into a sphere), I had also ordered a “cookies n’ cream” milkshake, which was moderately thick in consistency, and carried a reasonably strong and smooth flavour of Oreo. Across the table however, the other milkshakes were exceptionally thin and weak, and the peanut-butter milkshakes in particular proved to be a bitter disappointment. Soon after this visit, I found myself at B.O.B yet again, and decided to finally dig into the 17oz ribeye steak that I had been teased with at the taster session. Though it was fairly thin in cross-section and cooked a little closer to medium than medium-rare, the ribeye remained incredibly tender and succulent. Its rich, inherent flavour was enhanced by an optimal level of seasoning, and as I happily scoffed up each juicy bite, I almost forgot about the accompanying mushroom sauce. With its rich flavour and its luxurious, creamy texture, it challenged my preference for enjoying a steak as it is – and dare I say it, it nearly won. Equally endearing were the “mucky fingers” – a bowl of house fries covered in gooey, pungent parmesan and white truffle oil, which proved to be truly addictive. The Big Love burger cost around £13 without sides, and generally, a single patty burger will set you back around £7 to £10, whilst extra patties come in at £3.50. Sides range from £2.50 to £4, steaks sit between the £18 to £22 mark, and drinks and desserts range from £3 to £5 depending on what you opt for. Relative to the quality and quantity of food, such prices are both reasonable and in line with expectations, and you should feel rather satisfied by the end of your meal. The B.O.B team at both venues are generally friendly, welcoming, and helpful. Service is generally efficient, and on most occasions you should find that staff-members will dote over you like a bunch of dedicated groupies. (Just without the creepy obsessive tendencies – we hope). If you choose to visit the Camden branch, you will quickly find that Britain’s rock culture is heavily emphasised in the decor, which sports a number of musical murals and furnishings. Cheap and cheerful guitars are mounted on the walls, vinyl records are stuck to the ceiling, and a significant amount of effort has been spent on fine details. Chilli plants also sit at each table, with whole chillis free for you to pick and eat alongside your burger, or spitefully stuff up the nose of your dining companion – should they begin to irritate you. Every inch of the restaurant is bright and colourful, and the trippy styling seems to have been achieved by combining a paint set, a bag of sugar, and an eight-year-old-child. 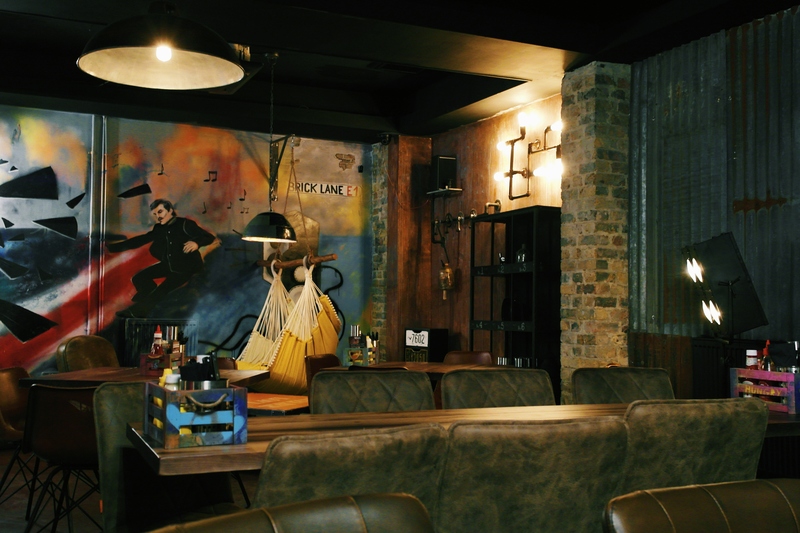 The Brick Lane branch, by contrast, employs the more common worn-and-torn look of a rustic diner, but sports a far larger, and more open dining environment. The restaurant’s dilapidated surroundings are contrasted by its modern and comfortable furnishing, and the ambience is every bit as laid-back as its Camden counterpart. The Camden branch can be found a brief two-minute walk from Mornington Crescent station, or a ten-minute walk from Camden Town station, whilst the Brick Lane branch is a quick five-minute walk from Aldgate East station. Parking is limited around both venues, but you may have some luck if you’re not visiting on Friday or Saturday nights. 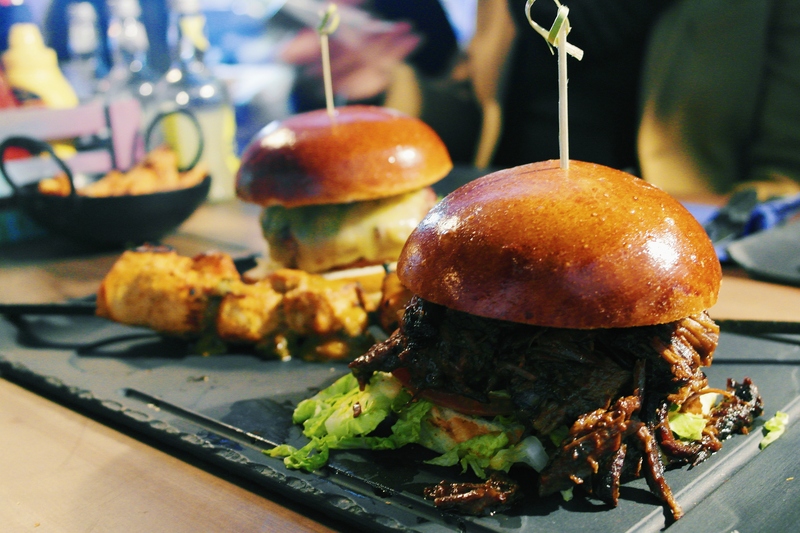 When Band of Burgers first debuted in Camden, I commended them on their unique theme and their wonderfully intricate decor, whilst noting that they had much to improve upon in the execution of their food. Just a year and a half later, and I can say with confidence that they have developed into a howling band of professional burger artists. 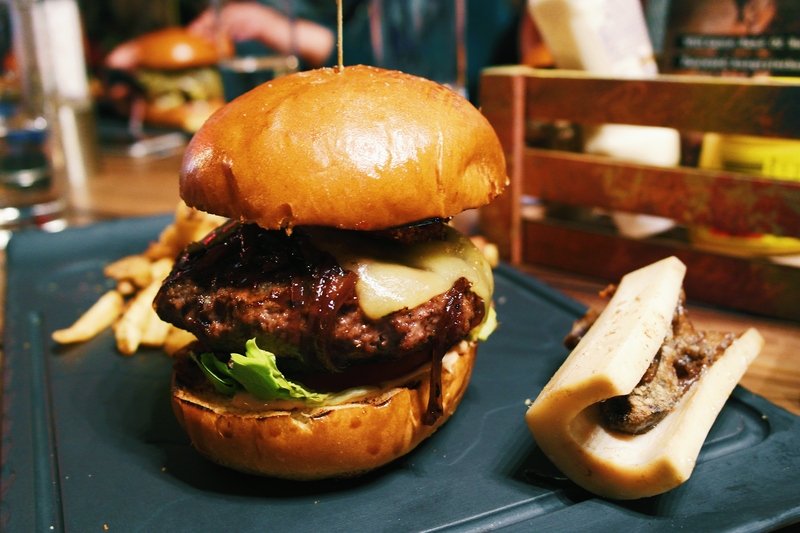 Their creative flair has flourished, the calibre of their food has soared, and whilst there are still a few hiccups in the fine-tuning of their live performances, there is no denying that they deliver a fairly electrifying burger experience. For me however, this is not enough. For all the success that B.O.B have attained, I believe there is an equal amount of untapped potential just waiting to be reached. Should they truly focus their craft and continue to push themselves harder and further (without the use of rock-and-roll-cocaine), I have no doubt that they could produce the ultimate burger solo. In the words of Spinal Tap – “turn it up to eleven”. 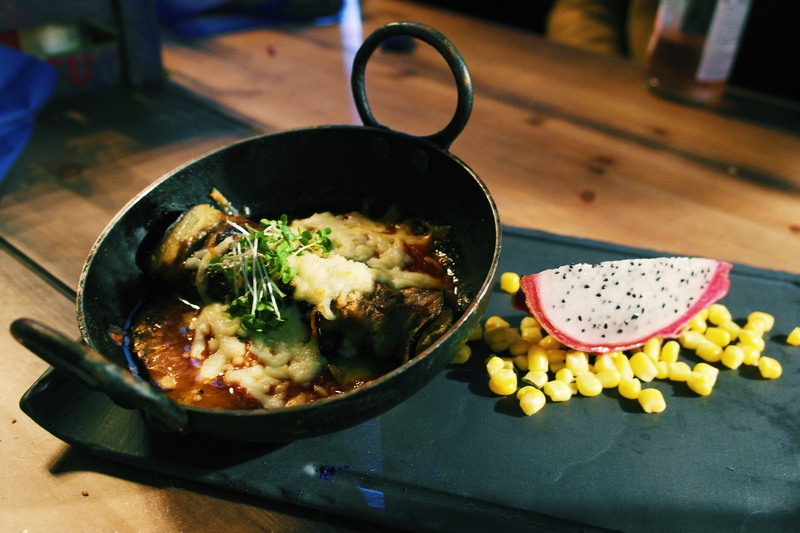 Disclaimer: Our first visit to the Brick Lane branch was an overt invitation.